Ankle weights are a great way to add extra resistance to your workout and increase the overall intensity. This can help you build more muscle, or burn more calories in the same amount of time as you would have done in a normal workout. This simple fact has made ankle weights popular across a range of sports and fitness disciplines, and various types have evolved. The best ankle weights for you will therefore depend on specifically what you are looking to do with them. In this article we’ll look at some of the use cases and highlight some of the popular brands to help you make an informed decision. Continue reading, or use the navigation below to jump ahead to the relevant section. 0.1 What are Ankle Weights for? 1.4 Can Ankle Weights be Bad for you? What are Ankle Weights for? Ankle weights are primarily used for increasing the resistance of activities; this can be for workouts through exercise, or simply enhancing the impact of a walk. Increase strength in lower body – Adding ankle weights to your leg and bum workouts will give you the added resistance required to get a nice shapely tone whilst also increasing your strength. Your muscle fatigue faster the more weight you put onto them, and this increased strain ultimately results in them growing stronger. Help to burn more calories – Even at a normal walking pace, wearing ankle weights will increase the energy you’re using, helping you to burn more calories. Research indicates that adding light weight to your workout can increase calories burnt by up to 15%. 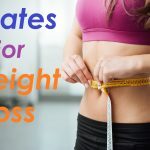 Simple way to add resistance to body weight exercises – Ankle weights are very versatile and therefore can easily be added as extra resistance to your normal workouts. 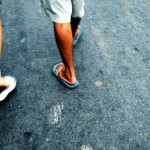 A lot of exercises require you to lift your ankles off the ground, including walking and running. However, you can also add ankle weights to stationary exercises, such as leg lifts. In fact, ankle weights can be used in conjunction with many other types of exercise equipment. Adds variation to your workout – Whether you’re stationary, going for a run, or even swimming, ankle weights are a brilliant way to add variation to your workout. Doing the same exercises week in, week out often results in a plateau as your body becomes accustomed to the exercises. Working out with ankle weights could be a breath of fresh air, working new muscles to help you burst through your plateau. It’s fairly simple; the more resistance you add to your workouts, the harder you’ll work, therefore you expend more energy, and will strengthen your muscles whilst losing weight at the same time. Increasing the intensity of your workouts so that you burn more calories and see results faster is a great way to help keep you motivated. Ankle weights are a simple way to achieve this, and can be used in a variety of exercises, not just around the ankles! There are a variety of different types of ankle weights; knowing what each one is suitable for, and how it will be beneficial, is key to understanding and deciding which ones are best for you. You should always use caution with any new equipment you are using, including ankle weights, to ensure safety and to prevent injury. Fixed weight – Fixed weight ankle weights are available from ¼ lbs to 25lbs and are a likely choice if you’re a beginner. You should choose a fixed weight based on the weight putting a slight resistance on your legs without making your foot hard to lift. It’s worth trying the different weights at your gym, or in a store, to ensure that you choose the right weight for your body. If you are looking to continue your usual ankle weight exercises, and know the weight that is suitable for you, fixed weights will allow you to continue your usual routine, without having to adjust the weight each time you use them. Adjustable weight – If you’re fairly familiar with using ankle weights, and use them as part of your core workout, especially at home, then the adjustable ankle weights are most likely suited to you. Using ankle weights for a variety of workouts will mean that you’ll need a different level of resistance, depending on your workout, therefore adjustable ankle weights are a good choice to ensure you are always being challenged, without having to buy several different weights. Whether you’re looking to challenge yourself, and keep upping the weight limit, or simply using different weights for different exercises, adjustable weights give you the flexibility you’ll need. Sand filled vs water filled – According to Overstock.com sand filled ankle weights can often be manufactured in heavier weights than water filled weights. Water filled weights can be used in water, unlike sand filled weights, and can be easier to transport, as you can empty the water out of them, and refill them at your destination. Unlike sand filled weights, water weights can be topped up to the desired amount, allowing a little more flexibility around how much weight you’re after. Weight variations – Ankle weights vary in weight, depending on the types of exercise you want to perform, and how much resistance you require. Generally speaking, the weights vary in ½ lbs and are available to buy up to 20lbs. For serious athletes, however, the weights can be bought up to 25lbs. The adjustable straps mean that you can adjust the size of the weights depending on your ankle size, ensuring that you wear the proper size to prevent injury. Waterproof – Waterproof ankle weights are designed for fitness and therapy. For those after an increased load bearing intensity whilst swimming, ankle weights are a great way to increase resistance, both on the legs and the arms. Adding an ankle weight to therapy exercises, such as, walking, water jogging, and jumping jacks, can be an easy way to add weight to your routine, but should be checked with your doctor or physical therapist beforehand. With the variety of sizes and types of ankle weights, there really is something for everyone. Ensure you take the time to find the right type that suits your specific exercise or physical therapy routine. The best ankle weights will vary for different people and different applications. You’ll need to consider whether you’re just starting out, or looking for a challenge. Will you be using ankle weights for water aerobics, rehabilitation, or intense exercise? Walking/running – Ankle weights for walking/running should be considered carefully, as these is a risk to putting too much strain on the joints. It is recommended that you limit the weight to no more than 3lbs to ensure you don’t cause yourself an injury. If you feel as though you need more of a challenge, you can experiment with higher weights, but do this in a staggered process. Boxing – Ankle weights for boxing are a great way to increase strength, stamina, and cardio. As with any other ankle weights, caution should be taken to find the right size/weight for the type of boxing training you’re enduring. 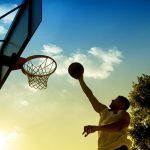 Basketball – Serious basketball players are known to use ankle weights to help improve vertical jump height. Wearing ankle weights during basketball will force your lower body to work harder and increase muscle strength and mass. 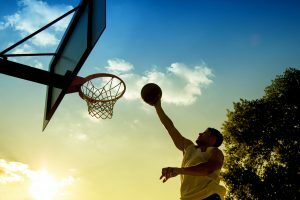 The result being that basketball players can jump higher and run faster, which are all appealing aspects to any basketball player. The ideal weight to start off with would be around 2lbs on each leg, working up to 5lbs. Water aerobics – Adding resistance to water aerobics or water therapy workouts will increase stamina and strength, working your lower body muscles harder. Whether you’re working towards a fitness goal, or for use in rehabilitation, waterproof ankle weights provide that little bit extra for a heart pumping workout. You can also wear ankle weights in combination with other home exercise equipment for a really great workout. 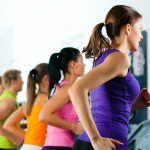 Check out our posts on compact treadmills, how to choose the best exercise bike and stepper machines for more info. Straight out of the box, Valeo ankle weights provide soft padding for comfort and an adjustable D-ring, meaning the one size offered fits most. The double strap closure ensures extra confidence in feeling secure, whether you’re using them at home, or more intensely at the gym. These weights won’t come loose, and will provide comfort without losing their purpose. 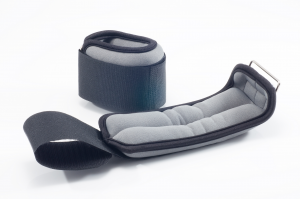 Easy to clean, and no assembly required, Valeo ankle weights are available in the following weights: 5lbs, 10lbs, and 20lbs. View Valeo Adjustable Ankle/Wrist Weights, 20 lb. Combined Weight, Pair on Amazon. The adjustable Velcro bands and D-ring mean that one size fits all. With an extra layer of soft absorbent material, the weights will feel safe, comfortable, and secure during any workout. View Da Vinci 1 LB Adjustable Ankle or Wrist Weights on Amazon. All Pro’s products are designed by a former occupational therapist, keeping health, safety, and comfort in mind. Great for strength training, and rehabilitation, these cushioned ankle weights are available up to 5lbs per ankle in ½ lb increments. The ankle weights are designed with padding against the ankle and around the Achilles tendon, protecting you at all times, whether it be a casual stroll, or an intense professional workout. Available in 3 sizes, 2lbs sets, the TheraBand ankle weights boast an adjustable strap with absorbent material, ideal for comfort for any workout. The cuffs are easy to adjust and have reflective trims, making them safe for outdoor and evening use. The design of the ankle weights mean they don’t cause friction, so are ideal for lightweight and heavyweight exercises. Kiefer ankle weights are available in 5 different sizes (5lbs, 1.5lbs, 1lbs, 3.75lbs, and 2.5lbs), and are suitable for aquatic exercises, water aerobics, and dryland exercise. Kiefer ankle weights are designed with comfort and security in mind, and allow you to clip the weights together, should you choose to use them as a weight belt. They are also a great option for rehabilitation, offering low weights to begin with, to strengthen your lower body, without damaging your physical therapy. Ankle weights can be purchased from many online sports stores, and Amazon. Prices range depending on size/weight, and quality. You can expect to pay as little as $8 for some low weight ankle weights, or up to around $100 for more versatile and adjustable ankle weights. Ankle weight exercises can easily be built into your usual gym or exercise routine. These include: leg lifts, bicycle crunches, glute kickbacks, leg extensions, and leg raises. For in depth details regarding each exercise, with safety measures check out this article. Can Ankle Weights be Bad for you? As with many exercise/sport accessories, ankle weights have their pros and cons. Because ankle weights provide added resistance, they can cause increased stress on the ankle joints and leg muscles, increasing the risk of serious injury. Mayo Clinic advises against leg weights even for brisk walks, suggesting that you might be better off ditching the weights and simply increasing the pace. As ankle weights put more force and pressure on the joints, they are not recommended for those with pre-existing joint problems. Wrist weights – Wrist weights are a great addition to lightweight exercise and cardio, producing increased fitness benefits without altering your routine. Wrist weights are ideal for exercises such as walking and aerobics; they add extra resistance without too much strain. Weighted vest – Safely adding weight to your standard bodyweight exercises can be enhanced with a weighted vest. Weighted vests can increase the training on your cardiovascular system, and strengthens your musculoskeletal system, allowing your bones to become stronger. Weighted vests are a great choice for athletes, such as, football players and sprinters. Go to the gym – Going to the gym, without the added accessories, is still beneficial. For those with joint problems, or people who are just starting out, the gym is a great place to go to build up your cardio and strength. A personal trainer should always be present before you start using gym equipment, to ensure that you don’t injure yourself, and show you how to use the equipment. 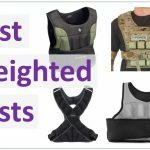 Hopefully this information has been useful in helping you decide which will be the best ankle weights for you. Remember, you should think about whether ankle weight exercises are the most appropriate to help you meet your fitness goals, and make sure you consider the downsides as well. Certainly, increasing the intensity of your walks and burning a few extra calories per day, when combined with a healthy, 500 calorie diet, will help to keep you in great shape. However, if you are looking to wear ankle weights for more intensive workouts, you should think about the strain this could put on your joints and the potential injuries it might cause. As is so often the case with exercise, it is worth trying a set of weights for a while to see how you get on with them.